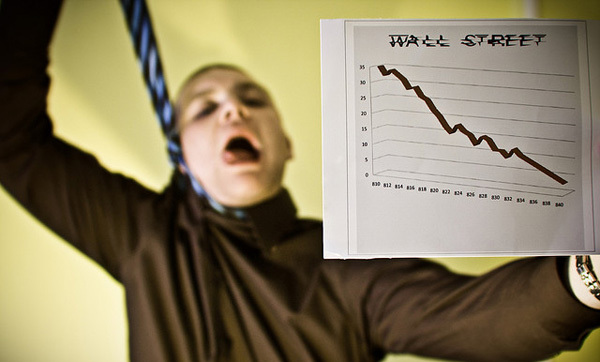 Day trading is one of the riskiest types of investments in the share market. People who do day trading buy a share in the hope that its price will increase or decrease as per their estimates. They expect to make a profit through this process and speculate about the way a market will move during a particular day. Since they have to settle their position at the end of the day, this makes day trading extremely risky and a day trader can sustain large losses. It is easy to be trapped by the promises of the brokers, who stress that day trading can be extremely rewarding in nature. One needs to remember that even though it can be profitable, it is very dicey and if one does not understand it properly, there are more chances that it will lead to unfathomable losses. Do not gamble: An investor needs to understand that they should not spend their money on day trading since the nature of the trading is extremely uncertain; it is equivalent to gambling and an investor must never use money that is required for other purposes like living expenses, mortgage or money needed for an emergency. Investing on Speculation: It is very important not to make an investment based on speculations. Sometimes an investor may make a profit, but he will surely sustain losses if he makes an investment decision on the market speculations. Day trading is an arduous job: Even though brokers will try to tell an investor that day trading is very easy, he must understand that it is a very tough and complicated thing. One has to keep a close watch on the share market so that they can understand the current trends, which are prevalent in the share market. Do not trade with borrowed money: An investor must not trade with borrowed money as it can increase the chances of ending up in a debt, in case the market does not behave as per their expectations. It is very critical to first understand and then invest money in day trading. Be wary of expert tips and analysis: Anyone who wants to start day trading can be easily influenced by the advice of experts, who claim that day trading can be highly rewarding. They need to check if these experts have any vested interests in promoting day trading and if they have been paid for giving these recommendations. The above mentioned things can ensure that an investor can play safe in the share market and turn day trading into a profitable proposition. I really enjoyed your post and it is really full of authentic information and I think this post will really help people who are doing this type of task. Thanks for your authentic information.